After a member suffered a stroke in Wells, the Rotary Club has been working to make these life-saving machines available to the public at all times. 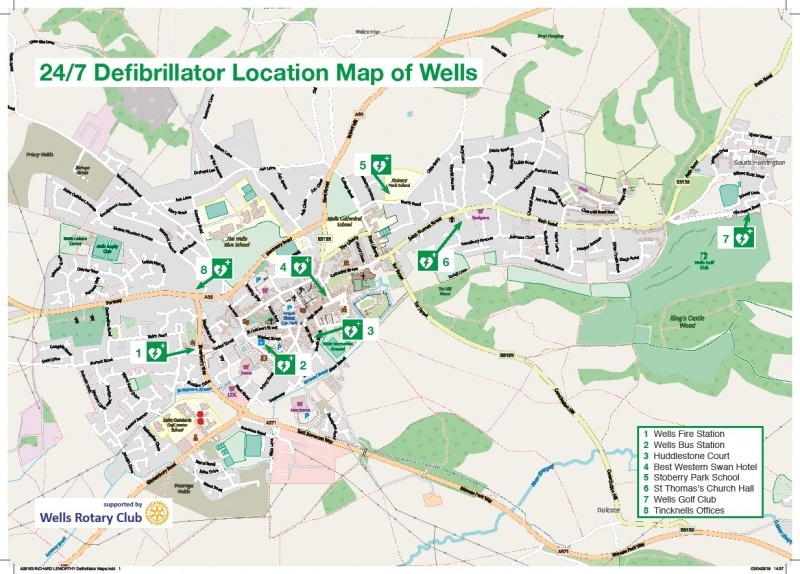 A growing awareness of the importance of very swift access to a defibrillator is behind the increasing number of these machines which are being installed in and around Wells, ideally in positions which are immediately accessible to the public at any time of day or night. The Town Hall has had a machine which is accessible during office hours for quite a time and Tincknells has quite recently installed a machine accessible 24/7, but the club is keen to make more available. The Swan Hotel, where the club meets, has just installed a machine in the reception which will be available 24/7 because the reception itself is manned permanently; the club helped with the cost of this machine. A machine has been paid for by the club, for installation in the public areas of the bus station and another one has been bought, for installation in the market square when the practicalities of installing one in an old telephone kiosk have been resolved. The club has helped Stowberry School with the cost and installation of a machine at the school and is discussing ways of helping the Connect Centre, Burcott Road 'One Stop' Shop and Easton with their projects as well; finances and advice are being discussed. The club is planning to work further with local organisations to locate other, existing machines, discuss the possibilities of making them available to the public 24/7 and to publicise their locations. These machines are of little use if no-one knows where they are and so the club is working to ensure that they are recorded on the internet and emergency services records. It is also exploring the possibility of having them displayed on maps of the city, but the details have not been resolveed yet. 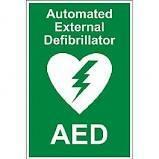 A map has been produced of the locations of AEDs accessible 24/7 which can be viewed HERE. Support and suggestions for taking this campaign further would be welcomed through our 'Contact' button just below.